Denver Tax Attorney. Serving all of Colorado. | Your Denver tax attorney provides superior representation for all your tax issues, including tax resolution, tax audits, tax relief, tax planning and business tax issues. 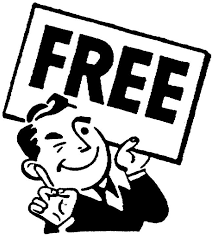 Free tax-filing tips are always appreciated! If you need help filing your taxes, call our Denver tax attorney at 303-618-2122. If you need help filing your taxes, our tax attorney can help! Mr. Murray is experienced in maximizing your deductions and tax credits – putting more money in your pocket, and less in the IRS’. Visit our Denver tax attorney‘s website for more information, or call us at 303-618-2122. This is the time of year millions of Americans begin pulling out receipts to start compiling their tax deductions before the April 15th deadline. People deduct the strangest items, but some are actually tax deductible. Gluten-free foods are averaging around 242% higher in price than the ordinary counterpart. The additional expense of going gluten-free can be a legitimate tax deduction. If you have a recognized disease where gluten-free foods help your health condition, backed by a certificate from your doctor, you may be able to take that amount as a tax deduction. Celiac disease, for example is a true diagnosed intolerance to gluten that causes the person severe gastrointestinal symptoms and can increase their risk for cancer. 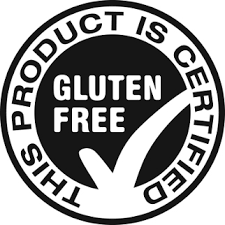 So, if you’re one of those whose diet must be gluten-free, save your receipts, including receipts for any shipping of the items to your home, get that note or certificate from your doctor and start writing off the extra cost of buying the gluten-free items. Foods that contain xanthan gum and sorghum flour can be fully deducted because they have no gluten-filled alternative. SUVs, such as a Chevrolet Silverado or Ford F Series, must be over 6,000 pounds in order to claim the vehicle as a tax deduction for its full purchase price. The IRS started this rule originally intended for small farmers who purchased heavy machinery. The rule has changed to stop self-employed professionals (like a doctor) from taking advantage of it. Now you must file a corporate tax return in order to claim this deduction. If you live and work in the same place such as living above your business, you can deduct your repairs, utility bills and your lawn care. You must meet the IRS requirement in order to claim your home is also your workplace. If your business or office occupies a portion of your home, such as 10% – you can only deduct 10% of the repairs, utilities and lawn service. In order to deduct lawn service, the IRS wants you to demonstrate your lawn has some relevance to the performance of your business. If you own a lawn service, you can deduct all your landscaping and lawn service costs. 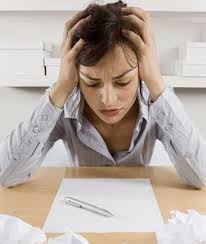 There are a number of reasons people may fail to file their taxes or pay back taxes. Some people feel hopeless because they owe taxes and don’t have money to pay, others simply run out of time to file and decide to chance not filing and there are others who are angry with the government and refuse to pay. Whatever the reason for not filing, whether you skip a year or fail to file for years, the probability the IRS will eventually catch up to you are high. Not paying back taxes means the IRS will begin adding fees, penalties and interest to the original debt. These fees add up quickly. No one is exempt, we constantly read about singers, actors and other well-known people who owe back taxes. Just last month the IRS seized actress Lindsay Lohan’s bank accounts for back taxes. When the IRS feels you’ve been hiding money, filed fraudulent returns or willfully failed to file, there are cases where jail time is ordered. The IRS can also place liens against your property or seize your property including bank accounts and garnish your wages without ever going to court. The IRS may send you a summons to appear to meet with an IRS officer and ordering you to bring in specific documents and records. The IRS can also summon a third party without your knowledge, such as the record keeper from your bank or job to collect and gather information about you. The IRS is one entity allowed to take your social security benefits to pay off a tax debt. Typically the IRS’s policy is to not prosecute ordinary people who make simple mistakes or whose returns were lost in the mail. The IRS typically doesn’t prosecute if you voluntarily come forward before they contact you. If you have been blatantly fraudulent, such as not responding to IRS letters year after year, the more likely the IRS is to prosecute you. When the IRS does catch up with you, they don’t have to prove an exact amount you owe in order to prosecute. A tax attorney is the only professional who can defend you using all the protection afforded by our legal system. A qualified tax attorney is an expert who can negotiate tax settlements and is skilled at resolving the most complex tax issues. Further, if there are any criminal implications, that tax attorney will provide service to protect you. Unlike a Certified Public Accountant (CPA) or other tax entity, the tax attorney affords you attorney-client privilege. It’s counter-productive to blame yourself for a back tax debt, or not filing. It is crucial to deal with tax problems and resolve them before they destroy your financial life. We, at Gantenbein Law Firm recognize tough situations such as job loss, divorce, illness or a failed business can cause tax problems. We are here to get your life back on track. Tyler Murray, Gantenbein Law Firm’s tax attorney is one of Colorado’s top tax attorney helping clients and CPAs tackle the most challenging tax issues and take on the IRS with success. Give us a call today to set up a consult (303 618-2122). If you need expert assistance with your back taxes, contact the Gantenbein Law Firm at 303-618-2122. We have award-winning attorneys – we are dedicated to our clients and provide the highest quality legal services. Gantenbein law firm is in Denver and serves all of Colorado. Visit our Denver Tax Law Firm website for more information. Gantenbein Law Firm practice also includes Colorado Foreclosure Defense, Colorado Real Estate Law, Colorado Business Formation & Representation and Colorado Family Law. This combination is exceptional in that it provides our clients a complete and full perspective of the most common issues surrounding your unique assets or tax issues- such as mortgage forgiveness and its debt relief tax implications. For more information on these areas of practice, visit Gantenbein Law Firm’s website. Homeowners are on edge, hoping Congress will once again renew the Mortgage Forgiveness Debt Relief Act (MFDRA) that expired last December 31, 2013. 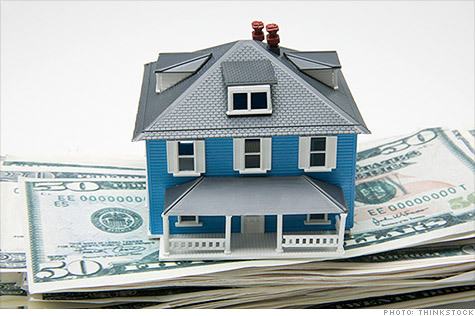 Anxious homeowners are waiting for Congress to renew the Act for 2014. Senate Majority Leader Harry Reid (D-Nev) said earlier this year he was waiting until after the November elections to vote on the measure. The measure has bi-partisan support and a fairly good chance at passing but there is some opposition to renewing. Congress first enacted the MFDRA in 2007 as an exception to the tax codes to help distressed homeowners. The housing collapse and plunging home prices left millions of people owing more on their homes than they were worth – their homes were “underwater”. The Urban Institute recently published an analysis stating that approximately 2 million homeowners will be at risk of incurring a tax liability for 2014 if the MFDRA is not renewed. Under current federal tax law, when homeowners accept a reduction in payment, a short sale, loan modification or are forgiven a portion of their mortgage, the amount forgiven is reported as income to the IRS. The homeowner will receive an IRS Form 1099-C. For instance, if a homeowner owes $200,000 on their mortgage and $100,000 of that is forgiven, the homeowner will receive the IRS Form 1099-C showing the amount of debt forgiven and the fair market value of any property foreclosed. On a $100,000 debt, the homeowner would have to pay $28,000 in taxes even though the borrower never received a penny of actual money (the $100,000 “income”). There are hundreds of thousands of underwater homeowners who would have huge tax burdens for 2014 if the Senate doesn’t renew the MFDRA. In the past, Congress renewed the MFDRA retroactively for the year. The bill now sitting in the Senate, and if passed, will renew the MFDRA through December 2015. Bank of America borrowers have a little protection. In the BOA August 2014 settlement, $490 million was set aside to help defray a portion of borrower’s tax bills if Congress failed to renew the act. Under the MFDRA, a homeowner may be able to exclude up to $2 million of debt forgiven on a principal residence. The limit is $1 million for a married person filing a separate return. The debt forgiven on second homes, rental property, business property, credit cards or car loans do not quality for the MFDRA, although there are some cases where other tax provisions may be applicable. Consulting a qualified tax attorney will help the homeowner with other possible options. If you are a homeowner and need assistance with your mortgage forgiveness, contact the Gantenbein Law Firm at 303-618-2122. We have the best tax and foreclosure attorneys – we are dedicated to our clients and provide the highest quality legal services. Gantenbein law firm is in Denver and serves all of Colorado. Our top tax law attorney is also a skilled, efficient Denver tax audit lawyer, helping his clients with alternative resolutions to tax audits and tax debt relief. Gantenbein Law Firm’s Denver tax attorney expertly assists his clients with complicated tax issues, including business formation and corporate taxes, tax appeals, tax deficiencies, tax litigation, tax repayment plans, estate taxes, tax audit defense services, and more. Denver tax attorney Tyler Murray, LL.M., of the Gantenbein Law Firm, is an experienced, licensed tax attorney with his Masters in Tax Law. If you have federal or state tax issues, contact premier IRS lawyer Tyler Murray at (303) 618-2122 for a one-hour consultation where he will discuss your situation and go over all your options with you. Visit our Denver Tax Law Firm website for more information. The holidays are right in front of us and before we know it, the New Year is here and time has run out to make smart tax moves. You may be able to save thousands on your tax bill with a little bit of strategy now. At this moment, there are more than 50 business and individual tax breaks that have not been extended by the lawmakers in Washington. Chances are, once the November 4th mid-term elections are over, the tax breaks will be extended but that’s not guaranteed. Some of the tax breaks waiting to be extended are private mortgage insurance payments, itemized claims for state and local sales taxes and higher education tuition and fees deduction. On June 12th, 2014, the House passed two bi-partisan bills to permanently extend tax credits that had expired the end of 2013. The vote was 272-144, known as Section 179 allowing small businesses to write off up to $500K worth of investments a year. The other bill was to help small businesses (S Corporations) with charitable contributions and tax cuts. That vote: 263-155. Both bills are sitting in the Senate, waiting to be voted on. – If you receive a bonus at the end of the year, ask your boss to delay the bonus until 2015, deferring taxable income. – Delay selling any type of asset in 2014 that will yield a capital gain. – If you’re a small business, wait to send your invoices out until after the first of the year. If you have a workplace retirement fund, add the maximum amount of money into that plan. The maximum employees can put into their 401(k) is $17,500 per year. If you’re 50 or older, you’re allowed an additional $5,500 (or $23,000 per year). 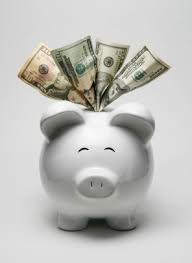 Another area to check at work is if you have a medical flexible spending account (FSA). You can contribute up to $2,500 through paycheck withdrawals. Remember, the FSA amount has changed due to the Affordable Care Act. Before the ACA, there was no limit. The stock market has taken a tumble lately creating capital losses for many. These losses could help defer your income. Check with your tax attorney if facing the 3.8% surtax, (Net Investment Income Tax) which is part of the Affordable Care Act. Go over other areas of tax losses, homeowner tax breaks (make an extra mortgage payment at the end of this year), itemize and bunch your deductibles, look into opening an IRA, pay tuition costs early and give to charities. Don’t wait until the last minute. Denver tax attorney Tyler Murray, LL.M., of the Gantenbein Law Firm, is an experienced, licensed tax attorney with his Masters in Tax Law. He is located in Denver and serves all of Colorado. Mr. Murray is fond of tax planning and saving his clients money. If you have tax planning or tax filing needs, and want to save money, contact premier Denver tax attorney Tyler Murray at (303) 618-2122 for a one-hour consultation where he will discuss your situation and go over all your options with you. Visit our TAX WEBSITE for more information. Tyler Murray is also a skilled, efficient Denver tax audit lawyer, helping his clients with alternative resolutions to tax audits and tax debt relief. His Denver tax attorney practice also includes business formation and corporate taxes, tax appeals, tax litigation, tax deficiencies, estate taxes, tax repayment plans, tax audit defense services, estate taxes and more. Denver tax attorney Tyler Murray, LL.M. can reduce your estate taxes and ensure your estate plan is protected. Call 303-618-2122. Remember the quote from the 1700’s – nothing is as “certain as death and taxes’? That phrase remains true, except today, there IS something you can do to lower or almost eliminate your estate taxes. Everyone should, at some time in their lives, schedule a visit to an Estate Attorney (especially one who has a background in taxation). An Estate Attorney can ensure all your bases are covered. No one likes to think about dying, but you need to think what would happen if you suddenly passed away. Will your estate land in the hands of probate court with most of the assets going to the taxman? Will relatives come forward and fight over heirlooms? You never know what’s around the corner. You should protect what you have from a large tax bill or lengthy court hearings. Some evening, when you’re not particularly interested in the television show that’s on, start making a list. Look around your home and write down everything that’s worth over $100. You’ll be surprised how much you’ve accumulated over the years and how many assets you have. Things like televisions, computers, cars, antiques, power tools, furniture, jewelry, art, kitchen items such as mixers, grills, china and any silver utensils are all worth more than $100. Next, go through those important papers you have and make a list of your bank accounts, insurance policies (car, disability, health, home, long-term care, life) and any other accounts you may have. An Estate Attorney can set up a Estate Plan for you, go over all the pro’s and con’s of trusts, wills and probate as well as inheritance laws and power of attorney. Did you know if you give your child an heirloom, or maybe a painting before you pass away, that child will have to pay capital gains taxes if they sell it? Let’s say years ago you paid $500 for a painting and it’s now worth $20,000. Your child will have to pay taxes on $19,500. Learn how you can shield that child from paying capital gains taxes, if given after your death, or placed in trust. There are certain benefits as to how you handle gift tax exemptions and exclusions. Are you aware everyone has a lifetime federal gift tax exemption? When do you use it? After your death? Against the gifts you make during your lifetime? There are literally thousands of tax laws and an endless maze of legalities that an Estate Attorney will guide you through to determine what is best for you. Tax laws are constantly changing. 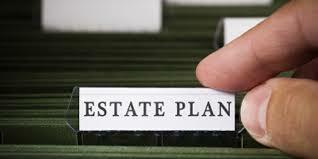 If you’ve had an Estate Plan in place, it’s a good idea to have the plan reviewed by an Estate Attorney too. We all need a little professional guidance every once in awhile to ensure our assets aren’t at risk. Denver tax attorney Tyler Murray, LL.M., of the Gantenbein Law Firm, is an experienced, professional tax attorney, located in Denver and serving all of Colorado. Along with being a licensed lawyer, Tyler Murray has a Masters in Law in Tax. If you have estate tax needs, including estate tax reductions or protecting your estate plan for your heirs, contact premier Denver tax attorney Tyler Murray at (303) 618-2122 for a one-hour consultation where he will discuss your situation and go over all your options with you. Visit our TAX WEBSITE for more information. Tyler Murray is also a skilled, efficient Denver tax audit lawyer, helping his clients with alternative resolutions to tax audits and tax debt relief. His Denver tax attorney practice also includes tax appeals, tax litigation, tax planning, offers in compromise, tax audit defense services, corporate taxes, filing tax returns, estate taxes and more. Denver tax attorney Tyler Murray provides skilled representation in all areas of tax refunds, including any refunds available on pot taxes. 303-618-2122. If you thought the ongoing tax issue whether marijuana business owners and consumers paying federal taxes would incriminate themselves by paying the taxes, there’s another tax problem on the horizon. Adding to this hodgepodge of pot perplexity, is that the state taxes pouring in from the marijuana sales are forecasted to exceed the $67 million in annual revenue anticipated in the 2013 Blue Book analysis of Proposition AA – the sales and excise tax rates voters approved in November. The state is now forecasted to take in an estimated $107 million, $40 million more than expected. 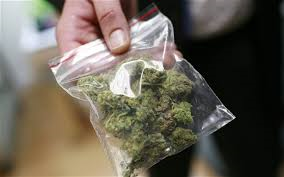 Marijuana revenues are subject to the state’s Taxpayer Bill of Rights (TABOR). Lawmakers are required to take action if tax revenues from the new (state) legal marijuana industry exceed $67 million. Colorado must lower the tax rate and refund the excess amount of revenues above the $67 million estimate or refer a measure to the ballot seeking permission from voters to let the state keep and spend all the tax revenue from recreational marijuana. It’s unclear whether a refund would go out to all taxpayers, or just those who bought the recreational weed. If refunds are given, it would likely come out of the state’s general fund because much of the marijuana revenues have already been allocated for school construction and reimbursement for marijuana regulation expenses. Some Colorado representatives think the state will try and take care of the decision internally. Others on Capitol Hill think simply lowering the sales and excise tax rates will bring the revenues back down to the $67 million original forecast. There are no standardized sales prices, but recreational pot is generally selling at a lower rate than an original forecasted last year, even though the taxes generated are higher. Colorado is embroiled in a legal battle if marijuana businesses pay federal taxes on their revenues, they would be incriminating themselves since the weed is not legal under federal law. Federal law trumps state law. Federal law dictates if you don’t pay your income taxes and you don’t pay your employment taxes, you are subjecting yourself to criminal tax charges. The dilemma of paying taxes on an illegal substance is very precarious and questionable. Another problem for the marijuana industry in Colorado is that some of Colorado’s largest banks won’t offer new loans to landowners with preexisting leases with pot businesses. These bankers have told commercial loan clients they either have to evict marijuana businesses or seek refinancing elsewhere. Bankers are saying property used as collateral for those loans theoretically are subject to federal drug-seizure laws making the loans a risk. Tyler Murray, LL.M., of the Gantenbein Law Firm, is an experienced Denver tax attorney, located in Denver and serving all of Colorado. Along with being a licensed lawyer, Tyler Murray has a Masters in Law in Tax. If you have received a Notice of Deficiency or other CP Notice for back taxes, contact premier Denver tax attorney Tyler Murray at (303) 618-2122 for a one-hour consultation where he will discuss your situation and go over all your options with you. Visit our TAX WEBSITE for more information. Tyler Murray is also a skilled, efficient Denver tax audit lawyer, helping his clients with alternative resolutions to tax audits and tax debt relief. His Colorado tax attorney practice also includes tax litigation, offers in compromise, tax appeals, tax planning, tax audit defense services, filing tax returns, and estate taxes. If you have received a Notice of Deficiency for your back taxes, contact top Denver tax attorney Tyler Murray, LL.M. at 303-618-2122. Is there anything scarier than receiving a letter from the IRS? If the IRS sent you a Notice of Deficiency (NOD), you are probably panicked and intimidated, as well you should be. This notice is the first step the IRS takes to collect what they feel you owe them. If the IRS thinks you owe any delinquent or back taxes, you will be receiving a Notice of Deficiency. The notice will give you 90 days to dispute the amount. The amount will probably include IRS penalties and interest added to what they state you owe in taxes. A Notice of Deficiency is the formal letter the IRS sends advising you of your appeal rights with the United States Tax Court. This letter is required by law and is sent by certified or registered mail to your last known address. The Notice of Deficiency should include an explanation for the deficiency along with a statement of the tax, interest and penalties that have been added. There will also be a final date you can file a petition with the U.S. Tax Court appealing the letter. Do not ignore the notice. If you do nothing, your time to appeal is over – you won’t be able to appeal and the IRS will have the authority to collect what they state you owe. The IRS is next likely to issue a Notice to Levy against you. Levy is the legal seizure of your property to pay a tax debt. The Notice to Levy allows you 30 days to respond. After the 30 days, the IRS can seize your property in order to collect the back taxes, penalties and interest. The IRS is not required to give you Notice to Levy or the 30 days to respond if they feel collection is in any jeopardy. If the IRS feels or thinks you’re selling off property or moving your assets to protect them from seizure, they’ll levy against your assets without notice. The IRS can collect what they feel you owe without proof of the debt. It’s up to the taxpayer to prove what you do or don’t owe the debt. The burden of proof is entirely on the taxpayer. The process and complexities of tax law are so confusing, it’s worthwhile to hire a qualified tax attorney. A tax attorney will have the expert knowledge and experience needed in dealing with the IRS. Your Denver tax attorney will ensure responses are submitted in a timely manner and are submitted correctly. Our tax attorney has the skill in talking, writing and filing proper forms to the IRS. Unlike a certified accountant, or tax advisor, hiring a tax attorney gives you Attorney-Client Privilege. A tax attorney cannot be forced to testify against you, or divulge any confidentiality. Anything you say to your tax attorney can not be repeated. When a recent survey found more taxpayers were less afraid of being ‘caught’ by the IRS, the IRS decided to step up tax audits and are, again, extremely aggressive in their audit attacks. Most tax issues are too serious to handle on your own. When you receive a notice from the IRS, call Gantenbein Law Firm – your qualified Denver tax attorney for help. 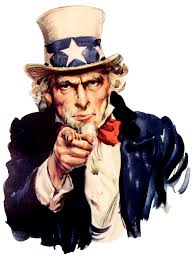 When you hire a tax attorney, you are better protected against IRS actions. Tyler Murray, LL.M., of the Gantenbein Law Firm, is a skilled and efficient Denver tax attorney, located in Denver and serving all of Colorado. Along with being a licensed lawyer, Tyler Murray has a Masters in Law in Tax. If you have received a Notice of Deficiency for back taxes, contact premier Denver tax attorney Tyler Murray at (303) 618-2122 for a one-hour consultation where he will discuss your situation and go over all your options with you. Tyler Murray is also a top Denver tax audit lawyer, helping his clients with alternative resolutions to tax audits and tax debt relief. His Colorado tax attorney practice also includes tax appeals, offers in compromise, tax planning, tax audit defense services, filing tax returns, estate taxes, and tax litigation. Gantenbein Law Firm practice also includes Colorado Real Estate Law, Colorado Foreclosure Defense, Federal and Colorado Tax Law, Colorado Business Formation & Representation, Colorado Business Law and Colorado Family Law. This combination is exceptional in that it provides our clients a complete and full perspective of the most common issues surrounding your unique assets or tax issues. If you have federal tax or Colorado business tax issues, contact Denver tax attorney Tyler Murray, LL.M. for immediate tax assistance. A hearing on whether paying taxes on marijuana sales will set weed owners up for federal prosecution has failed, leaving marijuana business owners and consumers up in the air. Advocates for the legalization of marijuana were suing to halt state and local government from collecting certain taxes on those sales. Their argument was marijuana is still illegal under federal law. Federal law takes precedence over state law. Paying taxes on the sales would be admitting to breaking federal law. The argument from the marijuana business owners and consumers was that taxes must be stopped because they violate the Fifth Amendment rights against self-incrimination. By paying the taxes on marijuana sales, the business owners and consumers acknowledge they are violating federal law. 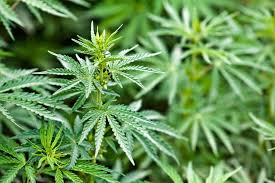 The judge asked “How can a party be able to receive a preliminary injunction that would assist in violating federal law?” In other words, if an injunction were given to the marijuana business owners, the injunction would help the owners cover up a federal crime. If marijuana business owners were to present testimony in court voicing their concern their tax payments are self-incriminating, their testimony would actually incriminate them. They would have to give testimony on information on their marijuana sales. They would be testifying they are breaking the federal law. Adding to the Catch-22, if the government collects taxes on marijuana sales, would they essentially be collecting illegal money? Would this be a form of money laundering? The conflicting state and federal laws are certainly creating chaos and confusion. Last year, the Colorado Court of Appeals (Coats v. Dish Network) ruled that since marijuana remains against federal law, employers can use that standard rather than state law as a rationale for banning off-the-job worker use, and are not bound by Colorado’s Lawful Activities Statute. Colorado officials predicted tax revenue from pot sales to be $33.5 million in the first 6 months. To date, the revenue from pot taxes fall $21.5 million shy of that prediction. Marijuana business owners are fearful the same Colorado Court of Appeals may rule against them as well and federal law would, once again, prevail. This is part of the same federal law that makes it illegal to sell marijuana prescriptions to medical patients at a pharmacy in Colorado. Premier Denver tax attorney Tyler Murray, LL.M., of the Gantenbein Law Firm, is a skilled tax attorney, located in Denver and serving all of Colorado. Along with being a licensed lawyer, Tyler Murray has a Masters in Law in Tax. If you have questions on Colorado business tax or Federal tax implications, or want to set up your business in Colorado with the lowest tax liability, contact experienced Denver tax attorney Tyler Murray at (303) 618-2122 for a one-hour consultation where he will discuss your situation and go over all your options with you. Tyler Murray is also an exceptional and efficient Denver tax audit lawyer, helping his clients with alternative resolutions to tax audits and tax debt relief. His Colorado tax attorney practice also includes tax planning, offers in compromise, tax audit defense services, filing tax returns, tax appeals and tax litigation. Gantenbein Law Firm practice also includes Colorado Real Estate Law, Federal and Colorado Tax Law, Colorado Foreclosure Defense, Colorado Business Formation & Representation, Colorado Business Law and Colorado Family Law. This combination is exceptional in that it provides our clients a complete and full perspective of the most common issues surrounding your unique assets or tax issues. 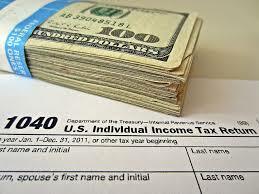 Denver tax attorney Tyler Murray can help with all your business tax issues. When marijuana was legalized in Colorado, complications set in due to the fact the drug is still illegal under federal law. Even though pot is legal in Colorado, it’s still a technical federal crime to sell marijuana. Advocates for the legalization of marijuana are suing to halt state and local government from collecting certain taxes on the sales of the weed. There is a real concern that businesses paying taxes on the marijuana sales would, at the same time, be incriminating themselves at a federal level. People in the weed industry are apprehensive that by paying taxes, those taxes would be the very evidence they are admitting to committing a federal crime. Once they pay those taxes, their records are open and leave them in a vulnerable position. On the other hand, the government always wants their share of all monies earned. If the Colorado weed businesses don’t pay their taxes (in this case income and employment taxes), they’re committing criminal tax evasion. Another Catch-22 is when the federal governments collects (or seizes) money from a ‘criminal enterprise’ (such as marijuana sales) that is considered “money laundering”. The Justice Department notified the two states (Colorado and Washington) that legalized recreational marijuana they would look the other way for now and would defer its right to challenge the legalization laws at this time. And what does the ‘for now’ mean except add more confusion to the situation? The feds could change their policy next week, or next month and go after the businesses who did pay their federal taxes and criminally charge them with selling an illegal drug. The lawsuit, filed on behalf of six individuals contends that requiring those involved in Colorado’s weed industry to pay taxes will incriminate them. There are currently 120 licensed recreational dispensaries in Colorado. Colorado reported that for July, retail marijuana sales tax brought in $2.47 million. Colorado has placed a 15% excise tax, a 10% special sales tax and a 2.9% sales tax on the weed and has collected $20 million in taxes alone so far this year. If these numbers increase, as expected, Colorado could see $200 million this year from the taxes, fees and licenses, bringing a boon to the state’s treasury. The attraction of these tax revenues are not lost on the feds who want their piece of the pie too. The irony of this dilemma is the federal government wants to collect taxes on an illegal substance under federal law. Tyler Murray, LL.M., of the Gantenbein Law Firm, is a skilled tax attorney, located in Denver and serving all of Colorado. Along with being a licensed lawyer, Tyler Murray has a Masters in Law in Tax. If you are facing a tax audit, Denver tax audit lawyer Tyler Murray can represent you in your tax audit defense, tax appeal or repayment plan. If you have a marijuana tax issue, received a Notice of Deficiency letter from the I.R.S., would like to file a tax appeal, or other tax issue, or need professional assistance with your Colorado tax planning, contact experienced Denver tax attorney Tyler Murray at (303) 618-2122 for a one-hour consultation where he will discuss your situation and go over all your options with you.